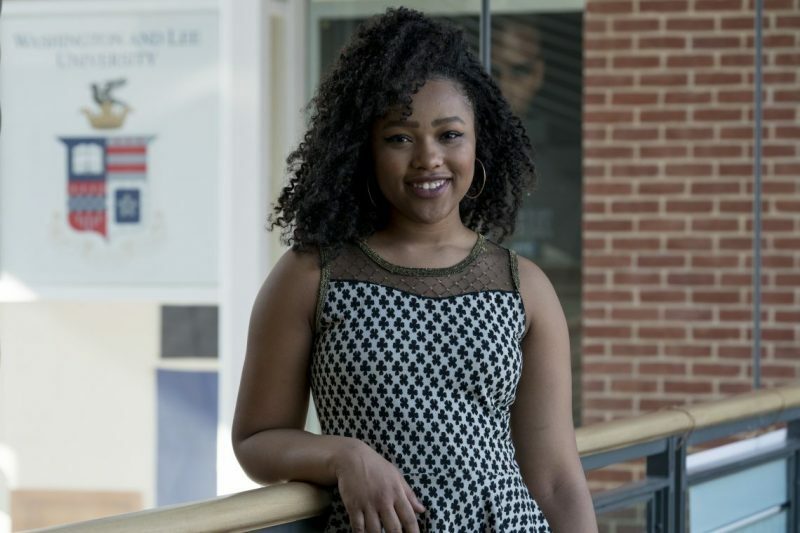 ‘Be a Changemaker in the World’ Bri Shaw has spent her college career studying how humans work. Now, the senior has some ideas about how the humans at W&L could work better together. My time at Washington and Lee has been an interesting mix of challenge, exhilaration and frustration. The academic climate being what it is, I’ve learned so much more than I ever thought I would or could. The professors at W&L are hyper-knowledgeable and readily available, but the kind of student who ends up here is a special kind to know, too. Every student here seems to know a lot about something, and to possess an implicit ability to share knowledge without even realizing it. Something as simple as eavesdropping on a conversation can turn into an educational moment. For example, while standing in line at Hillel on a Wednesday morning, I overheard a couple of girls discussing rising infertility in India. On another occasion, a couple of guys I didn’t even know gave me a lesson on how to invest. Looking back, I realize that if I had not been in those very spots at those very moments, I may never have come into contact with that knowledge. As a person who has devoted her entire academic career to figuring out exactly how people work and operate (a feat which I’m learning may be eternally impossible), this characteristic is both fascinating and exquisite. But for all of its many charms and appeals, I believe W&L is a place that could benefit from a little more intentional self-assessment about how we receive and act upon discussions of race. I find that the topic is uncomfortable for a lot of my peers, which is understandable. How do you confront a phenomenon that has come to be an ill-informed division between not only groups of people, but also between people and opportunity, safety, and even life itself? How do you peer over this divide and discuss it constructively, acknowledging emotion but without reducing the interaction to a session of silence or stereotyping — or worse, a shallow opportunity for an unhealthy opinion to gain a platform? On the other hand, W&L is great place to be if you’re aspiring to be a changemaker in the world. What better place to make a positive difference than a place with some imperfections? As the president of about 100 low-income, high-achieving Quest Scholars here on campus, I’ve been allowed a special role in making life here a little more inclusive. Most recently, a specific monetary allocation policy was generating a lot of complaints from our group, and with some consistent effort from a lot of folks, it’s been changed. It may sound self-interested to point out that these opportunities can help build your resume, but if saying that will keep people encouraged to fight the good fight, I’ll say it. This university is an unprecedented place to grow in more ways than one. I suppose that’s how I want to wrap up this reflection. I’ve had so much fun at W&L, and I’ve been pleasantly surprised by the people around me time and time again. A few weekends ago, for example, I did pull-ups in the bathroom of Pole 4 with my best friend and a couple of girls I don’t know. We just thought it would be fun for fun’s sake. In the past few years I’ve listened to speeches by Bill Nye and Laverne Cox. I’ve been SHOOK to the core listening to some economics majors explain exactly how mortgage loaning played into the crash of 2008. I’ve seen my peers produce art and poetry the likes of which I’ve seen in museums and classic publications. I’m grateful to have had four years living and learning alongside the people here, even if it was hard sometimes. There’s work to be done ahead but few are more qualified than this community to do it and do it well. What’s your personal motto? “Live with your head in the lion’s mouth.” It’s a Ralph Ellison quote from “Invisible Man,” a book I’ve read at least four times. I’m not articulate enough to say something meaningful in just one sentence. What one film/book do you recommend to everyone? I wish more people had read the book version of “Fight Club” by Chuck Palahniuk. It’s a wild ride. Post-graduation plans: Make enough money so that I can retire early enough and spend it all doing research to figure out the answers to my shower thoughts. Favorite W&L memory: My roommate and I hosted an “inclusive” Halloween party where every room was ideal for a different kind of Saturday night experience. One room played “Hocus Pocus” and had board games, another room had the dance floor, etc. A lot of people came and everyone could regulate their intensity level. It was an all-around good time. What’s something people wouldn’t guess about you? I have a pretty pathetic obsession with documentaries. It’s my favorite thing to do, hands down. I’ll watch them all but I’m especially a fan of ones that focus on nature or social psychology. My current obsession is a series called “The Secret Life of 4 and 5 Year Olds.” It’s like preschool reality TV but you know the subjects aren’t in it for celebrity or a check so all the drama is real and unscripted. Who could say no to that?